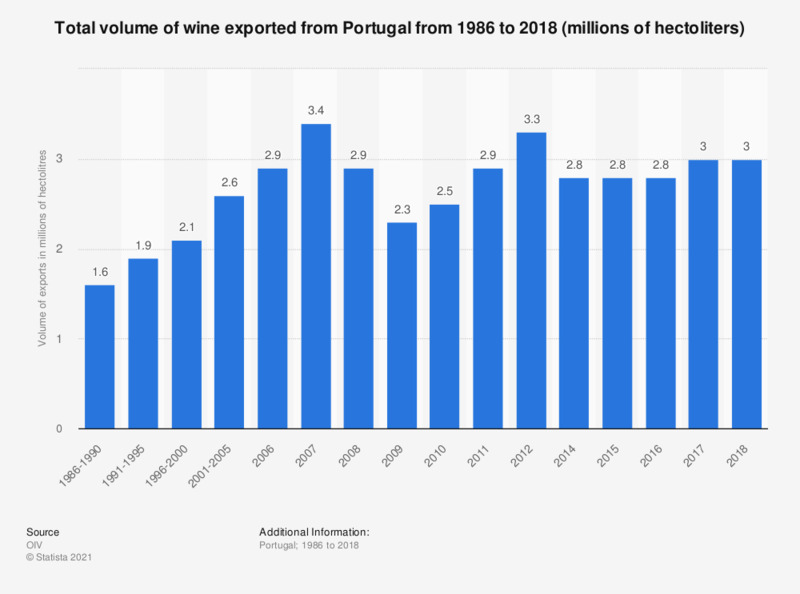 This statistic displays the total volume of wine exported from Portugal between 1986 and 2017. In 2017, the total volume of wine exported from Portugal was three million hectoliters which is an increase from the average 1.6 million hectoliters exported between 1986 and 1990. Data up to 2014 was taken from a previous report. Data for 2013 was not provided by the source.